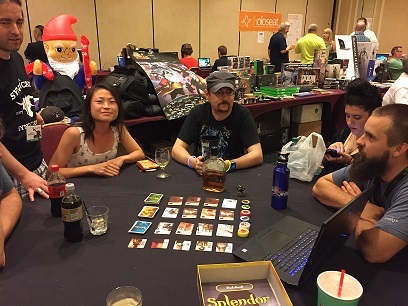 It was another exceptionally hot August in Texas when 200+ Syndicate members, family, friends and special guests descended on Austin for the 16th annual SyndCon event. This year had a special event at Richard Garriott's Castleton property located on Lake Austin. At the time of the event it was up for sale for $45 million. He was gracious enough to allow us to do a picnic there and let the team tour all the sites prior to the sale, as that might possibly be the last time anyone would be able to see them. It was a very cool place complete with a pirate ship, a old theater, a fort, a lighthouse and much more. There was even a cool story of a fire ant colony upon which an aluminum mold had been made and after digging down 8 feet and not finding the bottom, the group who created the mold ended the effort. 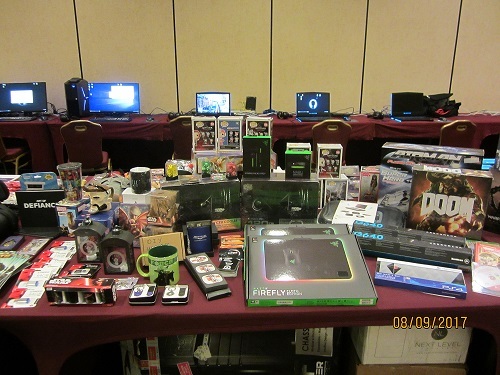 As has been the case for some years now, Alienware/Dell sponsored the annual LAN party which also served as the backbone for game tournaments (such as for Atlas Reactor from Trion) and game testing and feedback (such as Dreadnought from Six Foot) which occurred throughout the event. Additionally there were closed door sessions to review Crowfall, Shroud of the Avatar and what KingsIsle has been up too. As if all that wasn't enough, the tradition of Karaoke night continued with 5 hours of singing on Saturday night. Tabletop board game also continued with the collection of games growing even larger and some group of attendees playing something at just about any given moment. Planning has already begun for SyndCon 2018.